It's Duck Soup: Small Box, Big Frown. . .
Small Box, Big Frown. . . I keep hearing that printed-on-paper books are becoming extinct and will, in very short order, be replaced by e-books. I guess the folks that are saying it are the same ones that predicted that television would kill off movie theaters. Television certainly changed the industry and presented it with some big challenges, but look around you: the movie theaters are still here (and you should go to one to see Hugo!). I didn't originate this observation, but it bears repeating: we tend not to throw away old tech, but to add new technologies on to what we have. The thing that killed Borders (well, in part) was mismanagement. I happen to know that interest in paper books isn't going away anytime soon, and sales are not in decline. I help run a bookstore, and am the book buyer for the place. Paper books are under attack from so many directions (even by the people who publish them!) that it's kind of remarkable that the market is as strong as it is. The thing that's happening is that our share of the market (and by "our" I mean all brick-and-mortar stores) is dwindling by the year. It's not going to e-books (I count that, and I bet most businesses do, too, as an additional revenue stream). It's going to Jeff Bezos. Amazon changed the whole equation for book lovers. When I was growing up and well into my adulthood, you never thought twice about paying retail for a book. It was just one of those things. Sale books have always been strong, but if you wanted something new you just paid retail for it. Amazon has created a whole new mind-set: now people know that they don't have to pay retail price for books, and they don't want to, and I don't blame them. Amazon caused us all to believe that if you pay retail for a book, that makes you a sucker. I didn't feel this way until recently, but it does amount to unfair competition. As many others have pointed out, Amazon's not making money on books anymore, it's using them as a loss-leader. Brick-and-mortar stores can't afford to do that. But the thing that Jeff Bezos did last week really crosses the line. It's so far over the top that I honestly thought it was a hoax at first. Amazon is now using its customers to spy on retail stores, and rewarding them with discounts. Their selling point is that they are doing it to help keep prices low. This, all by itself, is a Big Lie. They're doing it to see how high they can raise their prices while still under-selling brick-and-mortar stores! Now, I'm somewhat of a hypocrite because I'm an Amazon customer (although I mostly buy DVDs from them, which I can not get locally). People who work in bookstores don't have a lot of disposable cash. But this latest thing is so underhanded that it's driving home the "buy local" message even to me. In the early days I liked Amazon because it was smart, spunky, convenient, and because it didn't replace bookstores. But through this and other strong-arm tactics that he's taken to using in recent years, it's clear that Jeff Bezos has joined Darth Vader on the dark side of the force and is trying to hammer all small business into the ground. 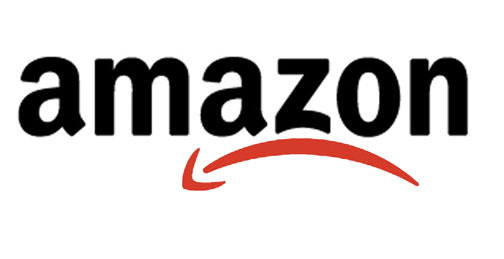 Amazon may have been a genius idea at one time, but now it's being run by an Evil genius. And, y'know -- maybe it was that way all along. I Beg to Differ. . .